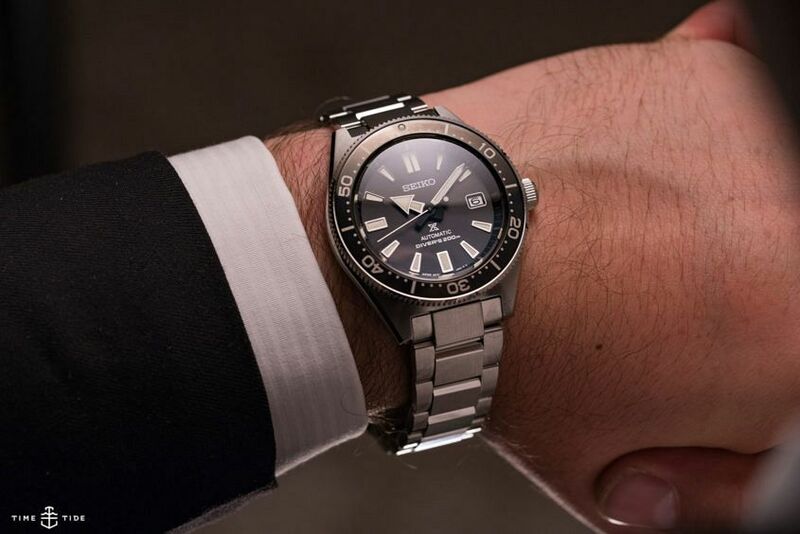 Nothing gets a watch fan’s blood pumping quite like a new dive watch release from Seiko. And this year, our collective hearts were racing. With Seiko dropping not just a re-creation of the iconic 62MAS – the SLA017 – but also two modern reinterpretations, the black SPB051 and the blue SPB053. And that’s the key phrase here – modern reinterpretation. You see, unlike the SLA017, which was an almost exact duplicate of the 62MAS, these modern reimaginations are larger, sportier, and exactly that, reimagined for the wrist of today. I had the chance to get my hands on the SPB051, and I can say that it’s everything a Seiko dive watch should be. 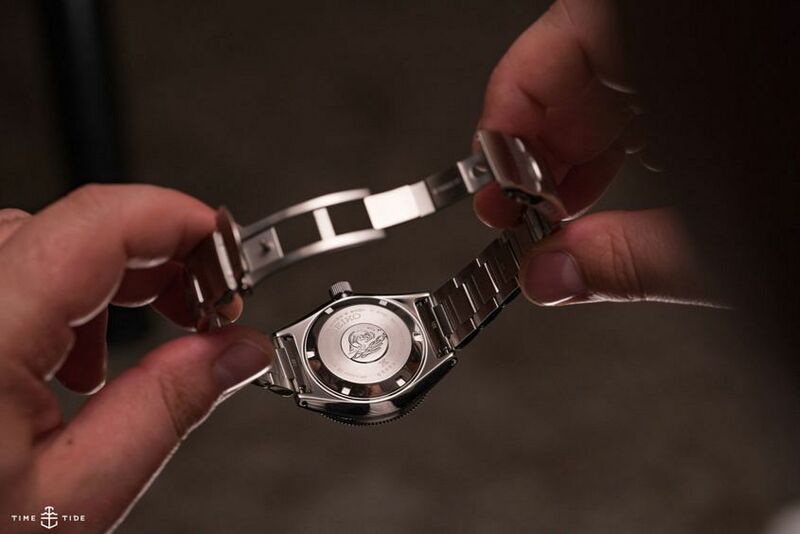 From above, the stainless-steel case looks the spitting image of the 62MAS, straight cut integrated lugs with a circular brushed finish and no crown guards. Only now it’s bigger, measuring 42.6mm across and 13.8mm thick. 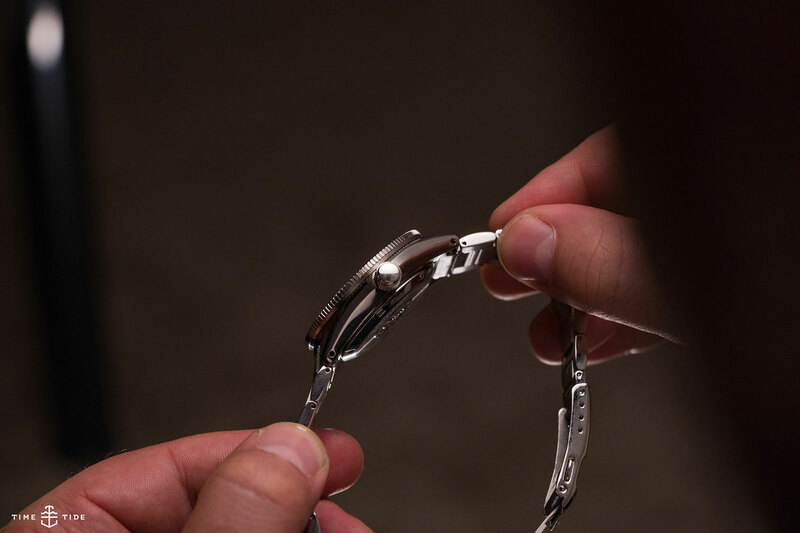 It’s less square too, with its utilitarian silhouette given some curves by sides that are sleek and rounded to smoothly flow and curve with your wrist. For the eyes, the brushed finish shifts to a solid line of Zaratsu polishing, which captivates and catches any and all reflections. Water resistance is a more contemporary 200m, and for added scratch-resistance Seiko have coated the case (and the bracelet) in a super-hard coating. Look a little further and you’ll see even more of these modern touches. A sapphire crystal, which has been given the anti-reflective treatment, domes over the dial. And inside beats Seiko’s modern and reliable Caliber 6R15, with a hefty power reserve of 50 hours. Also worth mentioning is the bracelet of the SPB051. 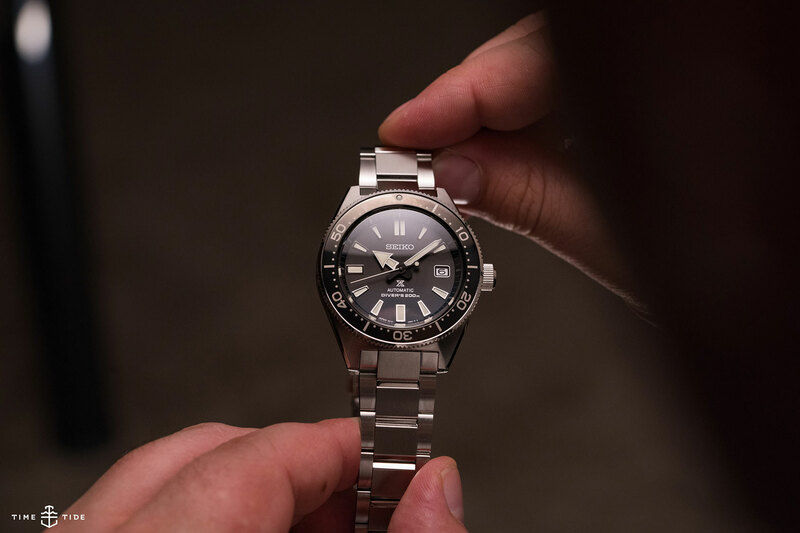 With an exceptionally solid feel, its slightly raised centre links and milled three-fold clasp put it a step above the more entry-level offerings from Seiko. If you’re not a fan of bracelets, the blue SPB053 is available on an accordion-style rubber strap, and drilled lugs on both models make changing straps a cinch. All noticeable improvements that no doubt will be praised by dive watch and Seiko devotees alike. On top sits a moody black steel bezel. Its lacquered glossy finish absorbing or reflecting light depending on the angle. 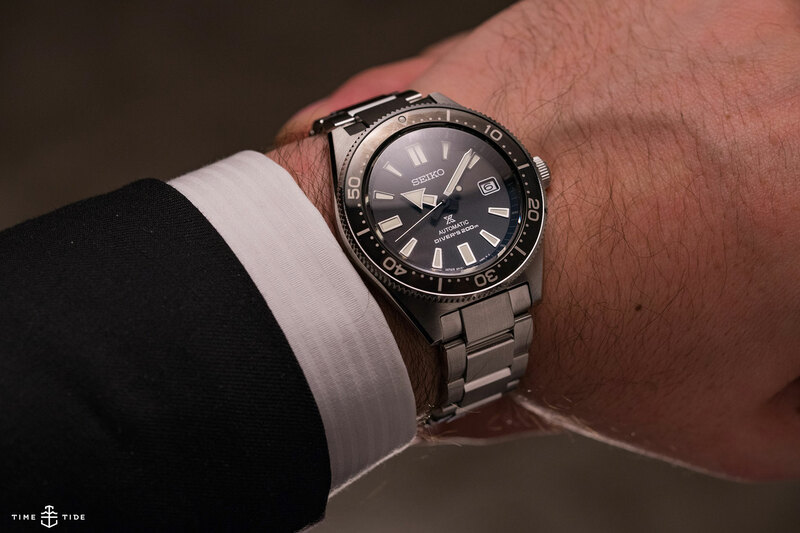 It shares the same 60-minute markings as its inspiration, and has an action that is noticeably smoother than many of Seiko’s other divers. Broad arrow hands and applied hour markers are generously filled with Seiko’s own blazing Lumibrite lume and with a date at 3 o’clock the matte black dial is clean and clear. In this attractive, not-so-little package Seiko has captured the essence of the original Seiko diver, while adding in a bunch of 2017-worthy upgrades. All this makes the SPB051 a worthy addition to Seiko’s storied dive watch family.